It was the type of backhanded compliment that meant “we still make the best rear-wheel-drive cars in the world” but it was, at least, kinda true, if you wanted a complete all-round car. as used cars: consider this a celebration of all things great, rather than a conventional used buyer’s guide. That said, the used market is quite savvy and the classic car market savvier still. It rewards not necessarily the reliable, practical cars but, in terms of value and esteem, what the market reflects now is whether these cars were any good in period. 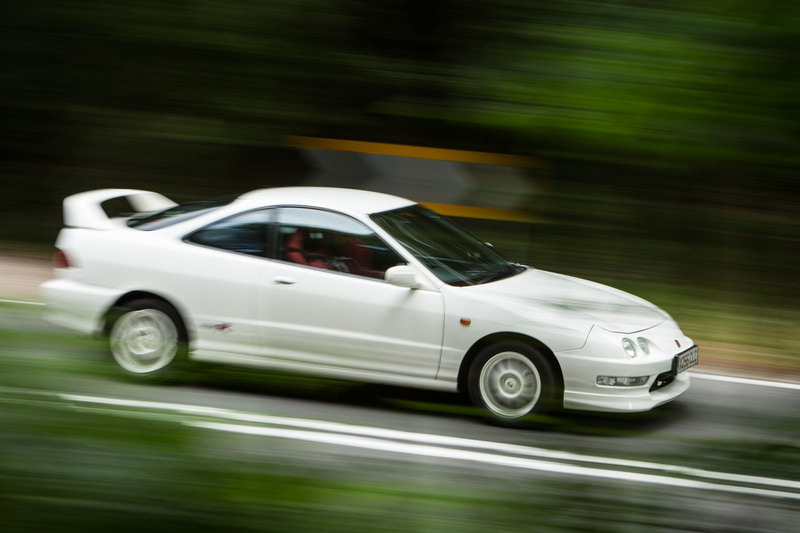 The Honda Integra Type R is, without question, my shout for the best front-drive car of all time. I think it’s better than a Peugeot 205 GTi, better than a Mk1 Volkswagen Golf GTI, better than the latest, greatest, 300bhp hot hatchbacks. Better than, actually, 90% of rear-drive cars. It’s a thing of such perfection and of modest output, and of such purity, that I doubt we’ll see its like again. A bold thing to say? Perhaps. I wouldn’t say a Bugatti Chiron will never be outdone for pace. I wouldn’t say nobody will build a car lighter and purer than a Caterham 7. But when it comes to cars like this, the world has moved on to such an extent that nobody will make a naturally aspirated 1.8-litre car with only 187bhp that weighs just 1140kg and has a manual gearbox and a mechanical limited- slip differential. Those in charge of product at car companies wouldn’t be able to leave it at that. They wouldn’t be able to offer such little power, they wouldn’t resist torque vectoring by braking, they’d have to fit electric, not hydraulic, power steering, they wouldn’t be able to leave it unturbocharged and they wouldn’t be able to resist active rear steer or adaptive dampers or bigger wheels and tyres than 195/55 R15s. If you sold this car today, nobody would buy it. I say that with some conviction because not that many people bought one at the time. Which is why a good one now costs as much as £13,000. According to the man from Honda, who sourced this car, there are two types of Integra Type R. There are the really, really good ones, which are massively expensive; and there are the shonky old cheap ones. This one is the rarest of all, then, being somewhere between those two poles. It has been modestly revived, on a bit of a budget, but well enough to retain the vast majority of what made it so special in the first place. and, unless you maintain absolute tightness in all bushes and so on, and fresh dampers, there comes a point where older cars start to feel similar; in that they all feel a bit baggy, a bit loose around the edges. With not many more than 50,000 miles on it, though, this one is still tight. Ideally, an Integra should be on Bridgestone Potenza tyres, but this one has had less grippy tyres fitted because Honda doesn’t want to put too much load into the suspension and wear it out more quickly. Think of it as putting those covers on the edge of the sofa, which protect sofa arms you’ll never actually see. So this could feel like a car that’s on its way out of its perfect state. But it isn’t. 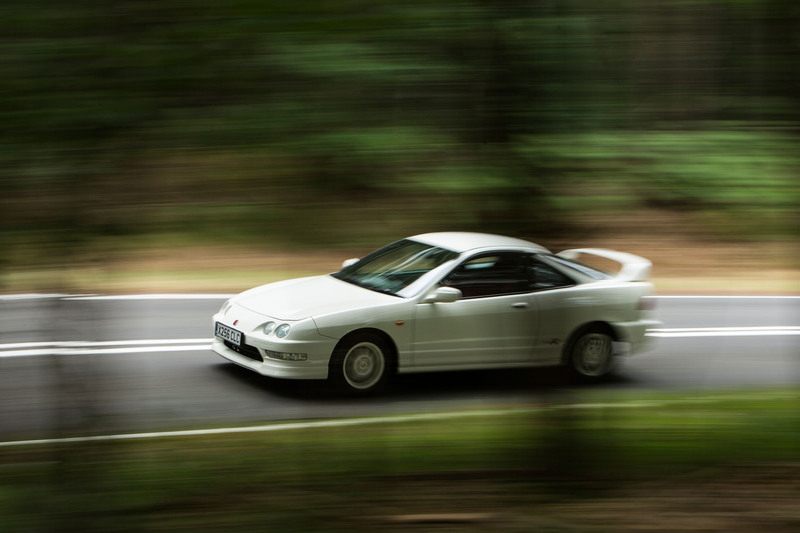 It’s still an Integra that feels every inch like the best front-driver in the world. It’s utterly magic. When it was new, I tested one on B-roads in the south-east, so that’s where I go. And it takes fewer than three tight corners for it to remind me of what it has to give: nice willingness to turn, and one of the best power- assisted steering systems to grace a front-wheel-drive car. Perhaps this one feels a bit more nose-centric and less adjustable than I remember – although I am trying to recall testing a car I last drove a decade ago–but it is still very agile by today’s standards. to 8700rpm – strongly, still, today – with a notable kick above 5000rpm. There’s very little flywheel inertia, the five-speed ’box remains as snicky as it always was, and because the ratios are so close (overall gearing is low), you barely need to prod the throttle on heel-and-toe downshifts to get the revs to match the next gear. It feels like a real precision instrument. Only a few minutes at the wheel is enough to see why values of Integras are on the rise – although not enough to understand why so criminally few were bought new – and conclude that the best thing you can do is buy the best you can and try to keep the chassis on top form. The last thing an Integra will lose, I suspect, is that VTEC engine’s phenomenal kick, but wonderful though that is, it’s the steering and the handling that outclass it. Here’s a car that isn’t just the best front-driver in the world: it’s one of the greatest driver’s cars of all time. Which wheels are powered is almost incidental. One we found Official UK cars are hard to find, so here’s the best of the Japanese imports, at £12,990. 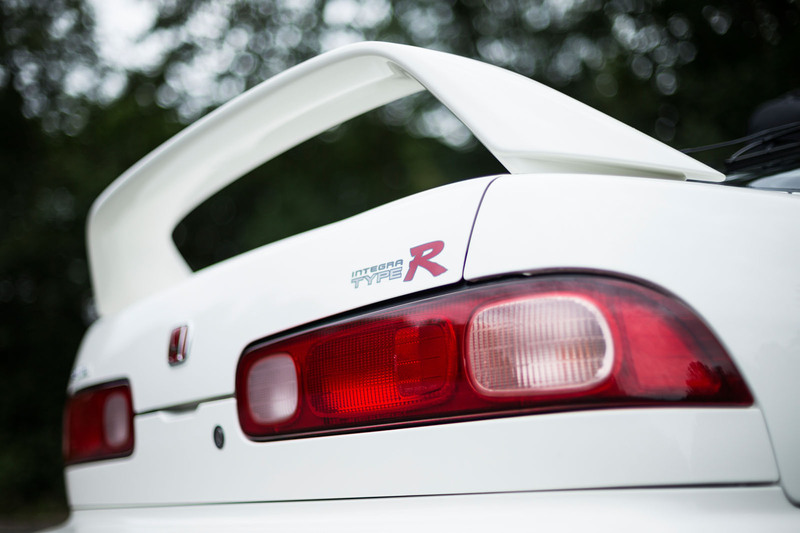 See Honda Integra Type R for sale on Pistonheads. 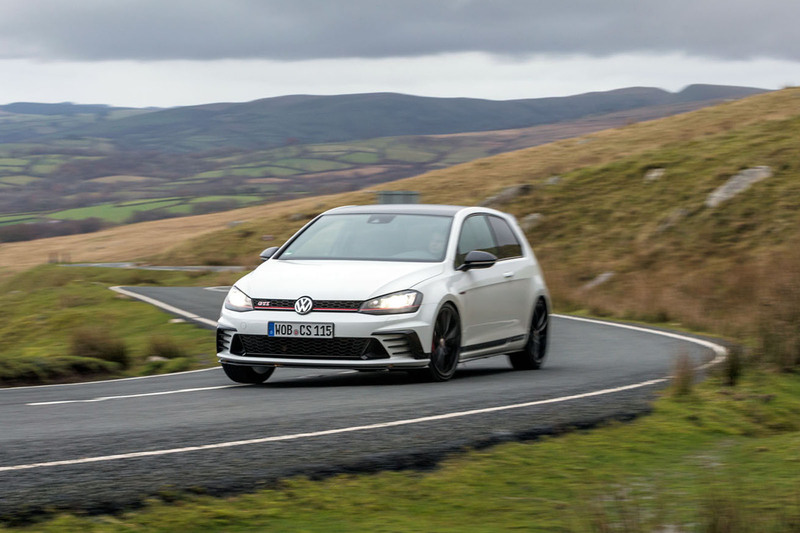 See Volkswagen Golf GTI Clubsport S for sale on Pistonheads. Volkswagen’s hottest, sparsest modern Golf has a roll cage and no rear seats. Designed to set a Nürburgring lap time but equally happy on a British B-road. Built 2010 Price range £35,000- £50,000 We’d pay £40,000 One we found There are usually only one or two on sale in the UK at a time because only 100 landed here, but worth seeking out. Around the same price they sold at new. 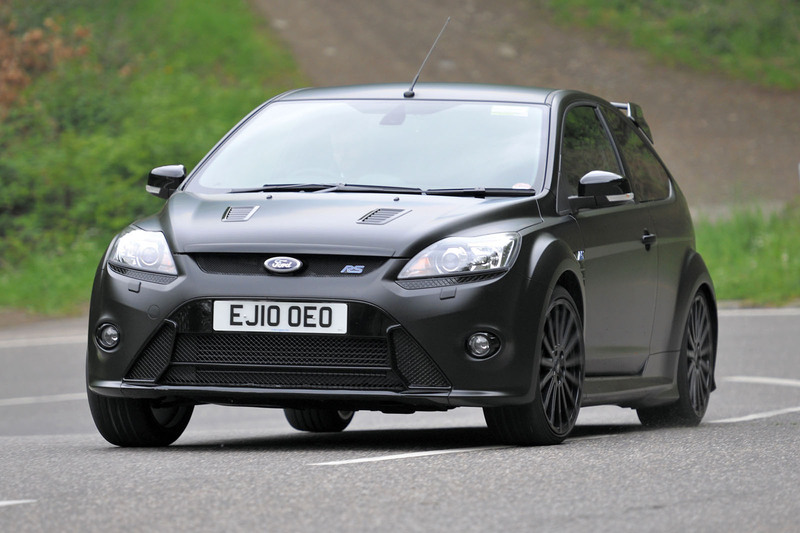 See Ford Focus RS500 for sale on Pistonheads. its five-cylinder engine. Front tyre wear is an issue but it’s a terrifically adjustable, entertaining car. Built 1996-2001 (plus from 1961 on) Price range £5000-£25,000 We’d pay £8000 One we found Just under £10,000 gets you into a 76,000-miler, but condition of bodywork counts for so much more than miles. See Mini Cooper for sale on Pistonheads. The original way to go incredibly fast with a front-drive chassis, Mini Coopers are astoundingly adjustable and steer brilliantly. Few cars have such agility. Built 2014-2016 Price range £25,000-£30,000 We’d pay £28,000 One we found The only one we spotted in the UK makes it the one to have. At £28k, it still feels an incredibly special car. See Renault Mégane Trophy R for sale on Pistonheads. 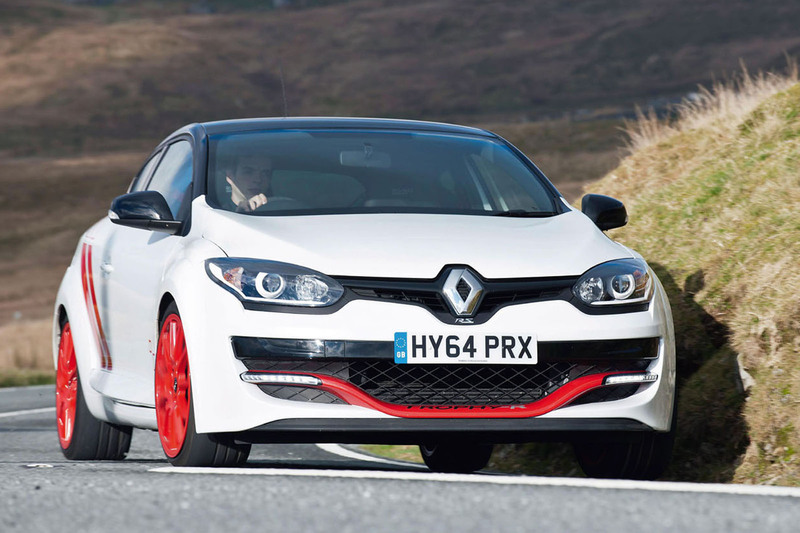 Just 30 Trophy R Méganes made their way to the UK officially as the most heroic of the outgoing hot Méganes. Brilliant handling. See also the Mégane R26.R. Built 1996-2002 Price range £1000- £4000 We’d pay £3500 One we found These cars are both rare and bargains. Tatty ones can be had from £1000 and £4000 buys you the best. We liked a tidy 100k-miler priced at £2900. See Peugeot 306 Rallye for sale on Pistonheads. 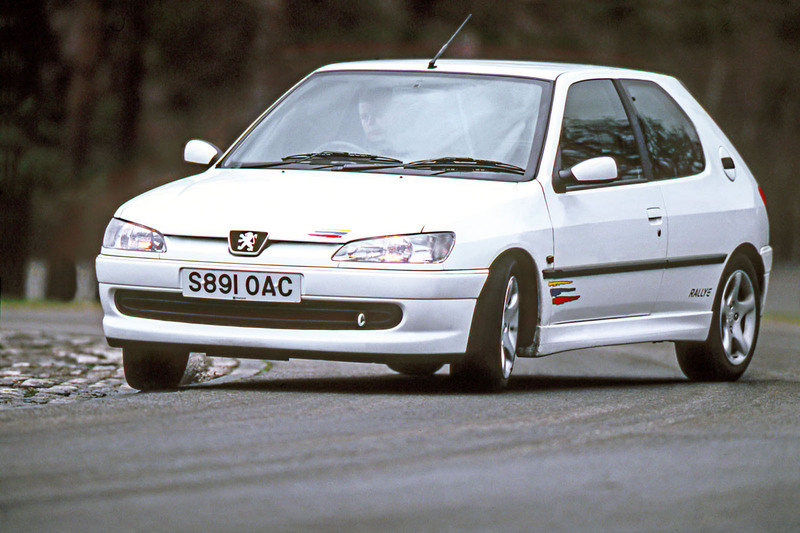 Arguably the best hot hatch of the 1990s, the 306 GTi-6 arrived in 1996 (p66). The UK-only lighter, keener Rallye model (1999) was better still, mind. Built 1999-2000 Price range £10,000-£20,000 We’d pay £15,000 One we found This is another of those cars that’s massively rare but worth seeking out. £14,000 gets you a well-cared-for 61k-mile car. 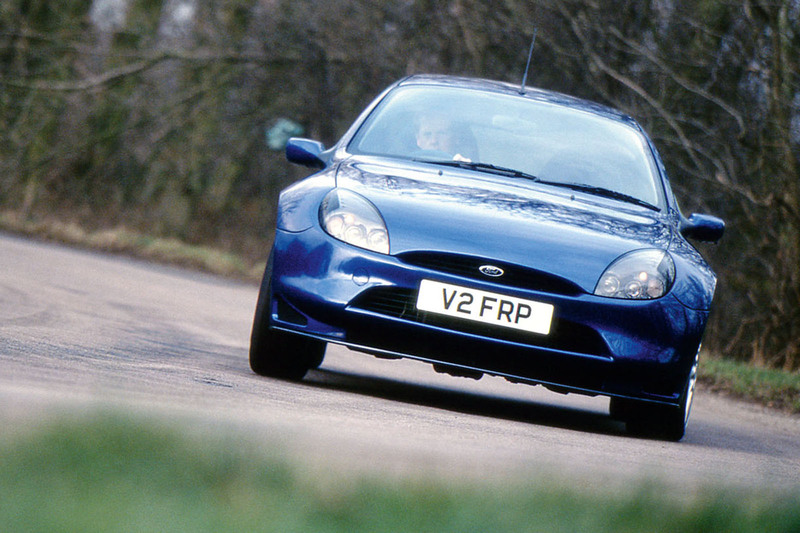 See Ford Racing Puma for sale on Pistonheads. Probably the second-best front- wheel-drive car I’ve driven. Fewer than 500 were made after they struggled to find homes. Daft, really, because they’re sensational. Built 2002 Price range £2500- £5000 We’d pay £3000 One we found Under £4000 for 40k miles. It’s hard to find unmolested ones, but this one has had only two owners, too. 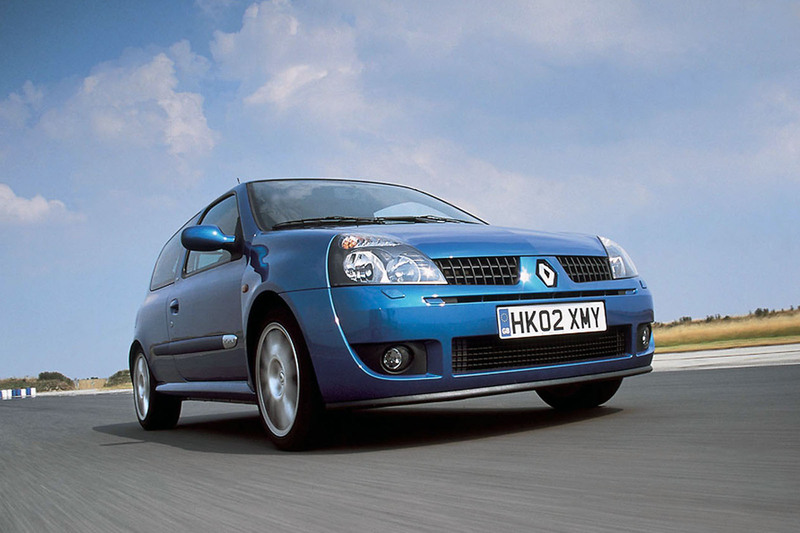 See Renault Clio 172 Cup for sale on Pistonheads. This car was raw when launched in 2002. It had no ABS, the glass was thinner than usual, soundproofing was removed and the suspension was lowered. At just 1020kg, it was an utter hoot. Still is, if in good nick. Built 2006 Price range £12,500- £20,000 We’d pay £16,000 One we found There are a few around but how about an apparently well-looked-after, privately owned 38k-miler at £17,000? 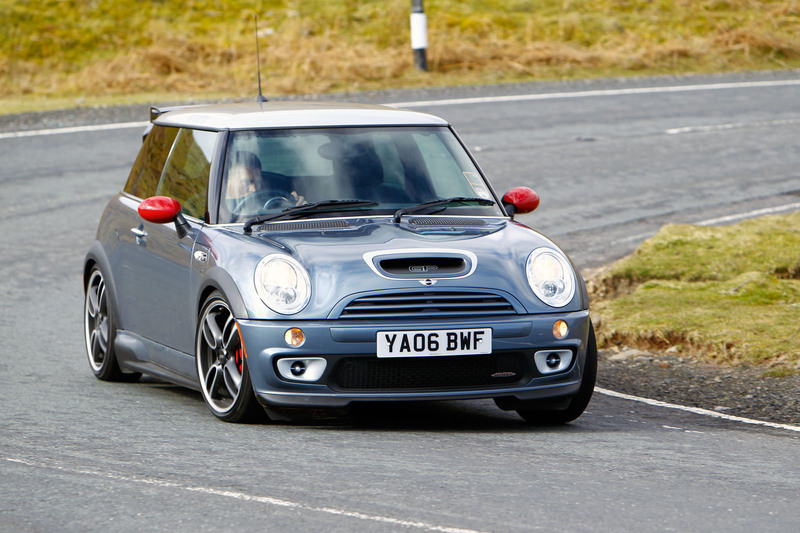 See Mini Cooper S Works GP for sale on Pistonheads. The ‘Mini GP’ was a run-out special. Only 8bhp was added to the engine but 50kg came out in total, including 15kg from the rear suspension and 8kg from the wheels, which made it thrilling to drive, even at £22,000. Built 1984-1992 Price range £4000- £40,000 We’d pay £8000 One we found A three-owner, 56,000-mile car said to have been recommissioned after 20 years in storage: £9500. 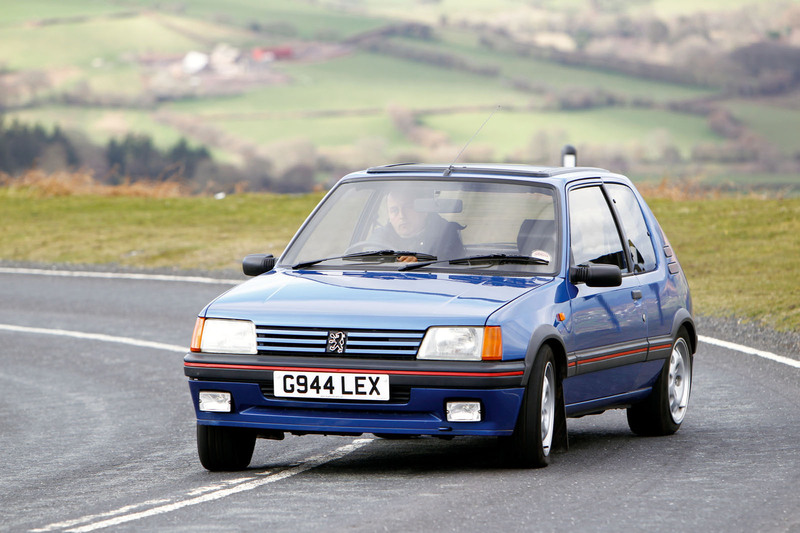 See Peugeot 205 GTI 1.6 for sale on Pistonheads. 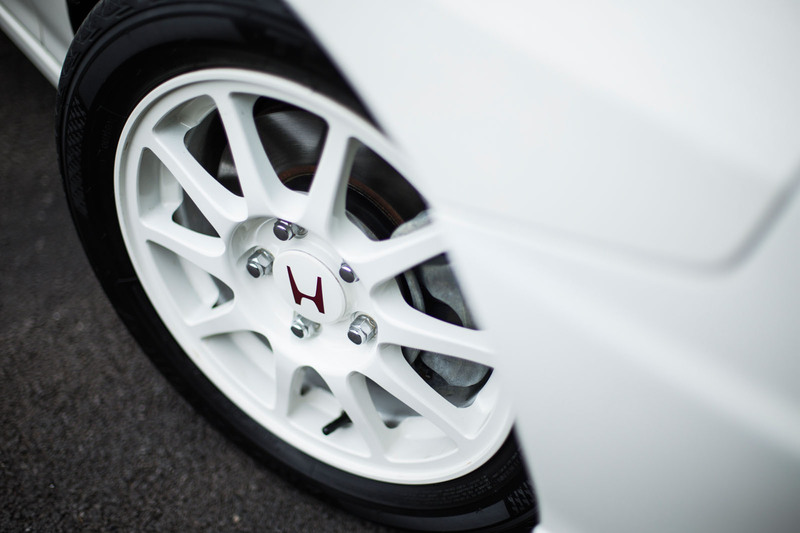 It’s frequently regarded as the best front-driver, but the Honda Integra Type R has more going for it, as far as we’re concerned. And prices for good 205s have gone bonkers. One just sold at auction for £38,000. The author has forgotton the Lotus elan se turbo that has been widely acclaimed to be the best handling front wheel drive car even to this day. I am always amazed at how brilliantly it drives each time I take mine out for a blast, super stable handling, great steering feel, full power no torque steer and great traction, all with the well engineered compliant suspension. A viceless lotus for those of us who dont want oversteer to take us through the next hedge on a B road but still have fun ! has also forgotten the VW Corrado, far better than the majority on his top 10. I can't help wondering about rust underneath on these cars. Where you can't see! I've seen some really badly rusted Pumas and no matter how "well-cared-for" these are they simply can't avoid rusting from within! Often it's rust from below the paint, which nobody can really prevent happening. So I'd say be very careful if you're going to spend the types of money they're talking about in this article. You'd need a top class mechanic to look under the car, at all the known fail points, and under all the carpets too - even in the boot. No Clio Williams, 306 Rallye, 106 Rallye, VW Coraddo VR6, Lotus Elan. The Wife had a Mini RSP, suspension was modified by Acespeed Minis to Race spec. Stock was good. But after Andy had worked his majic (tyres & adjustable suspension set up correctly ) on it, the car was phenomominal. With the correct engine (100bhp ish) it would've been awesome. Problem was it was great when you Was in the mood, but not good when you wanted to chill. Sorry my bad, re-read the article the 306 is on there doh! Not a good list. 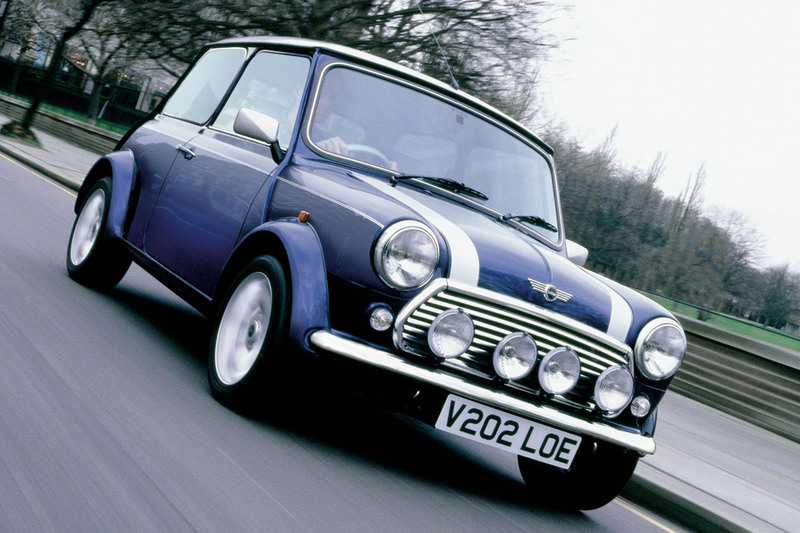 Only two of these sold, or were even available in many cases, in large numbers, the original Mini and the 205. Some of the others are less common than hens' teeth. To offer a selection of used cars for consideration it would be of more value to have eight which are likely to be at least moderately easy to find and a couple of rarities for which to keep one's eyes peeled, in preference to the other way around.